Cross Cuts – Black, White, and ? Kay M Capps Cross loves black and white, and sometime she adds a pop of color…. almost any color! 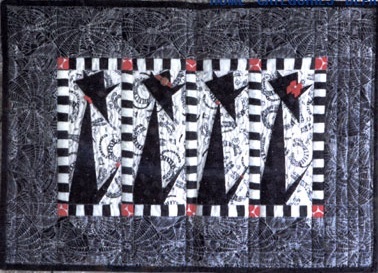 Many designers will move to a black and white quilt at some point, but for Kay, black and white is her mainstay and really sets her creative spirit free. Her quilts are sometimes geometric, sometimes wonky, sometimes arty, but they will always catch your eye and give you something interesting to look at. 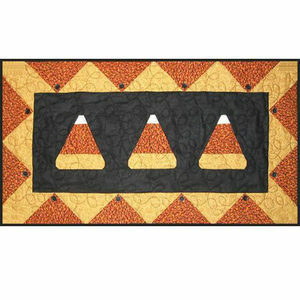 Jailhouse Row is a fun wall hanging. The cats are paper pieced and can be left as is (just black on a white background) or you can embellish away and dress them up. 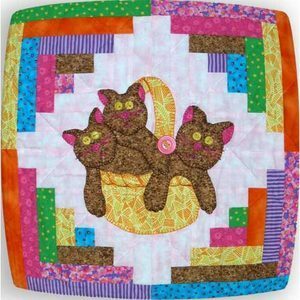 Kay says this is an easy quilt, so start sewing and pretty soon all you’ll have all your kitties in a row. Grab your scraps or use a favorite panel, either way this quilt-as-you-go project will finish quickly. Strong straps (‘cuz they go all the way around the bottom of the bag) and a very roomy interior (it holds a 24″ cutting mat!) will make this Scrap Bag your favorite large (we’re talking huge!) tote. Paper pieced crisp points and the gold color turn an ordinary pine tree into “Royaltry“. Be daring and try silk to make it elegant. The border adds a special touch of interest. 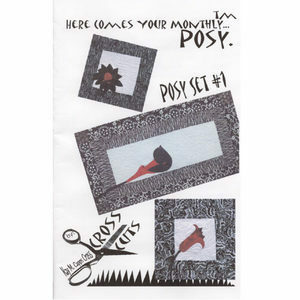 Posy Set #1 is the first of four sets of posy patterns. 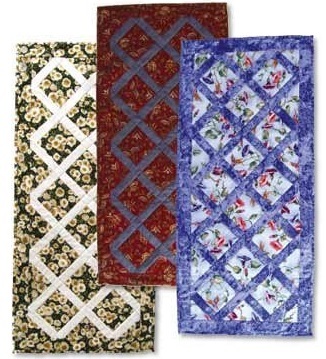 Finish them all and you will have a 56″ x 74″ quilt full of posies. Choose your accent color to match your room. 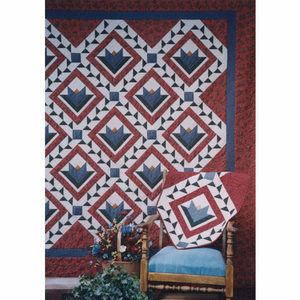 Be sure to check out the book Black & White Quilts by Design. 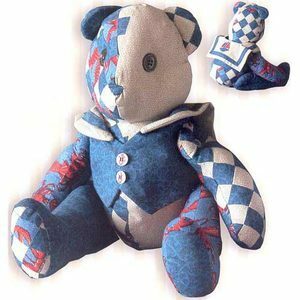 It includes a dozen patterns for a range of experience levels, with clear instructions for applique and paper piecing. 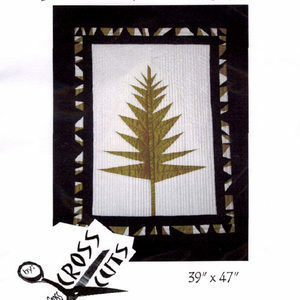 Browse all the Cross Cuts patterns and you will also notice that several projects are suitable for scraps. 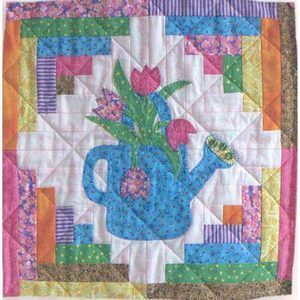 Becky And Me – Happy Little Quilt Patterns! Becky and Me quilt patterns are suitable for all ages and skill levels. Easy to follow instructions assure a quilting success. 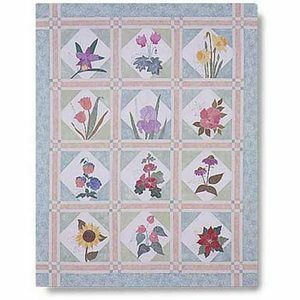 Spring is captured in this log cabin framed quilt with a blooming flowers in a watering can. 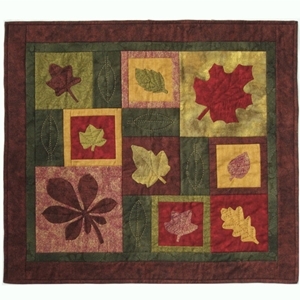 This 16″ square, cheerful quilt works as a wall hanging, a pillow, or part of a larger quilt. Do you know any high school seniors that are headed to college next year? Kitties might be a cute pillow for them to take with, especially if they have a kitty that they have to leave behind. 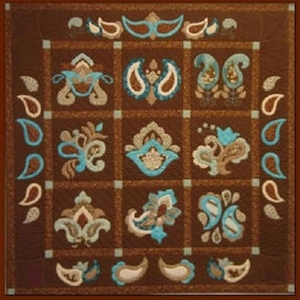 Another 16″ square project (Becky and Me has lots of these!) it will also work as a wall hanging. 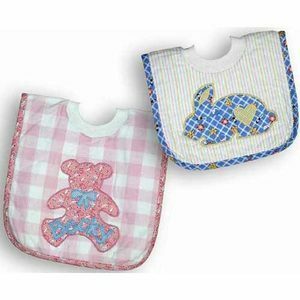 Becky’s Bibs offers instructions in two sizes – 11″ infant & 14″ toddler. The ribbed neckline is comfy and the appliques are cute! Alphabet applique is included so you can personalize the bibs. Great shower or new baby gift. 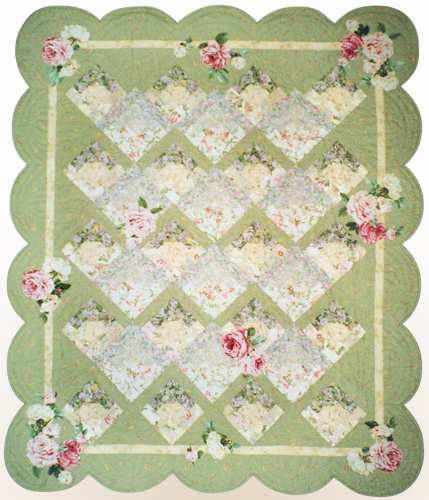 The Flannel Softs Quilt Pattern includes these bibs and a pattern for a hooded receiving blanket. Isn’t this little Sailor Bear adorable?! 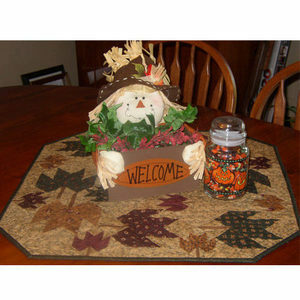 Measuring 16″ tall, he’s fat quarter friendly and made from pieced squares. 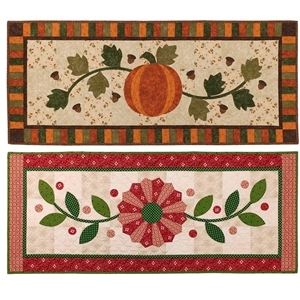 Becky suggests that you could also use pieces of old quilts. Hmm, maybe even old clothes? Whatever you use, he is sure to be loved by someone special. Today’s post focus was on little projects but, if you browse all the Becky and Me patterns, you’ll see several lap sized and larger quilts… most of them cheerful! 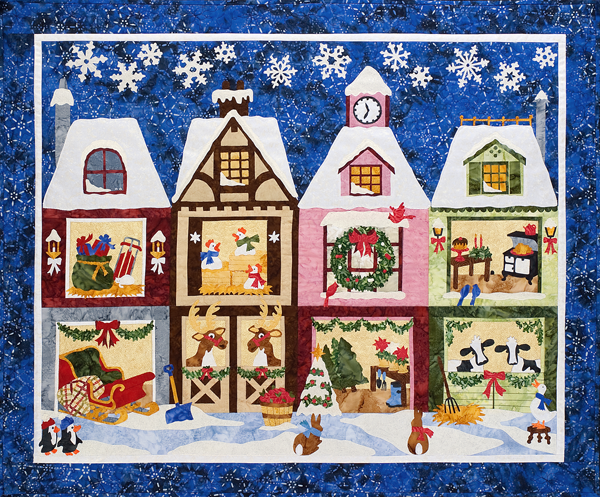 Angela Lawrence is an award winning quilter with a passion for needleturn applique. A degree in education has led her to share her passion through workshops that encompass beginner’s skills right through to advanced tecniques. 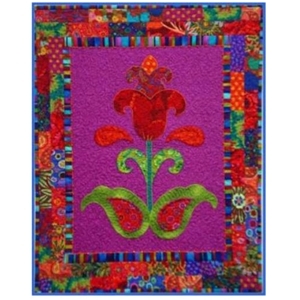 If you are new to applique, or just want a quicker project, Tantalizing Tulip has large pieces that translate into a stunning 24″x30″ wall hanging. The border is made from scrap pieces and put together brick style. The colors are what first drew me to Simply Paisley first, but the design is delightful. This is the kind of pattern you’d want to do over and over again to explore all different color combinations. 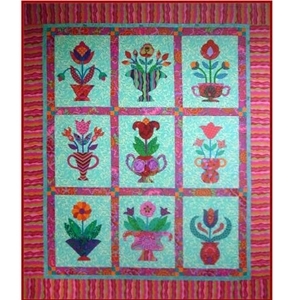 With just nine blocks in a large quilt (62″ x 74″), this Folk Art Floral applique pattern allows the use of larger scale fabrics. Each block is unique – good luck choosing a favorite! 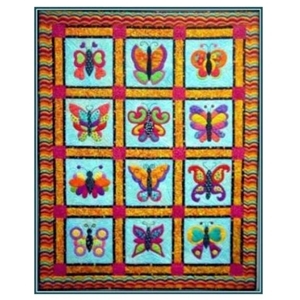 Butterfly Boutique is a 47″ x 58.5″ beauty. With 12 blocks you can do a block a month and finish this just in time for next Spring. The colors Angela used for her sample certainly are vibrant! Stick with vibrant or go for soft, subtle, pastels. Either way, the end product will be a treasure worthy of handing down. If you live in the midwest, or are traveling there for upcoming quilt shows this summer, you can meet Angela, and see her work and patterns in person. She will be teaching and exhibiting at the Minnesota Quilters 35th Annual Quilt Show and Conference in Duluth, MN; exhibiting only at the 2013 International Quilt Festival / Chicago in Rosemont, Illinois; and teaching and exhibiting at AQS 2013 Quilt Show and Contest in Des Moines, Iowa. 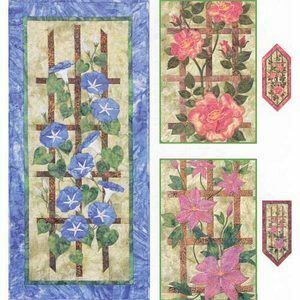 If you aren’t traveling, you can browse the rest of the Applique After Hours patterns from the comfort of your home!